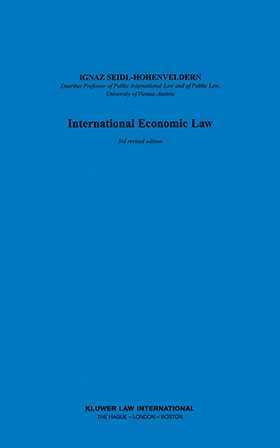 This is the third revised edition of International Economic Law, which was first published in 1989, and based on a General Course held by the author at The Hague Academy of International Law in 1986. The success of both the first and second editions have proven this work to be a standard textbook on international economic law which has been widely used and studied. This third edition takes account of some of the new developments in international economic law, such as the ramifications of the Internet. The comprehensive analysis of all rules of public international law having direct influence on economic relations has been maintained and elaborated. Special attention is paid to the claims for a new international economic order, the extraterritorial reach of domestic legislation, the effects of nationalization, the protection of the environment, state immunity and economic welfare.